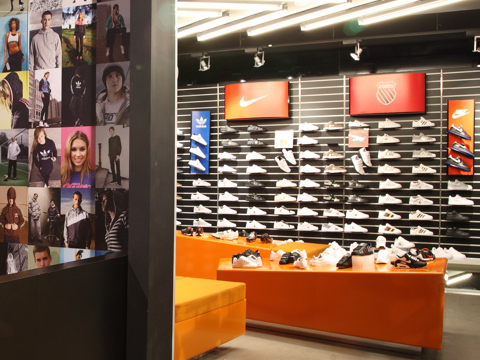 Liaising closely with the JD retail team, a new scheme was developed for their airside outlets, devised to convey a point of difference with their highly successful high street formula, but to also retain the spirit of the brand. The resulting design scheme has been very well received by the JD group, and their customers. In addition to the design of the airport sites, I was also charged with their implementation. 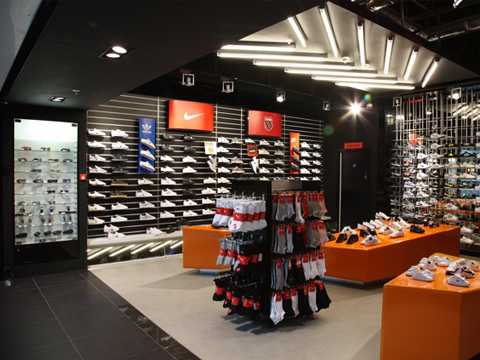 Working closely with the shopfitters, and faced with extremely limited budgets, near impossible timescale, and the always challenging airport environment each of the stores opened on programme and been delivered on budget. JD now operates a total of five airside outlets across the UK in T5, Luton, Newcastle and Gatwick airports. 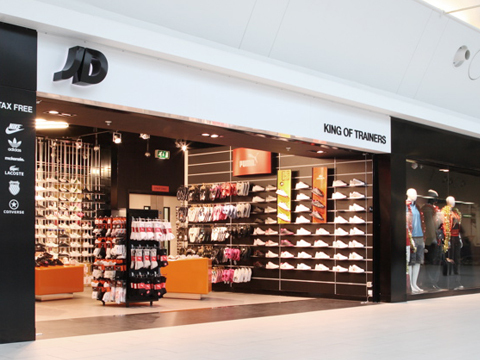 The most recently opened ‘King of Trainers’ site in Gatwick has exceeded JD’s expectation and is currently trading well above its retail targets.